Reading Time: 2 minutes The VMware vSAN release catalog provides critical information to vSAN build recommendation engine. It will be updated when there are new releases or critical patches and, of course, it’s very important to keep the local copy up-to-date. The vSAN health check feature, will periodically ensure that the local copy of vSAN release catalog is up-to-date. 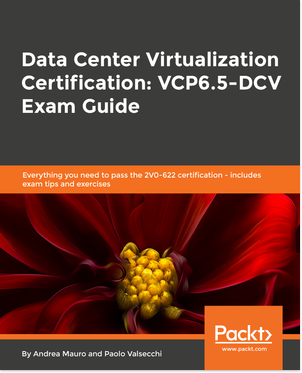 Reading Time: 2 minutes Some weeks ago, VMware has discover a possible issue in all VMware vSAN 6.6 and 6.7 cluster, related to hot (or also cold) disk-extend operations. Applications such as databases report in-guest data inconsistency on a VMDK that has been extended while residing on VMware vSAN 6.6 and later. More information of this issue are provided in the VMware KB 58715 (Virtual Machines running on VMware vSAN 6.6 and later report guest data consistency concerns following a disk extend operation). 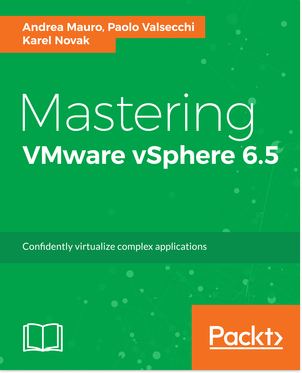 Reading Time: 6 minutes With the announce of the new vSphere 6.7 Update 1 you should expect also a new version of VMware vSAN (the bits are included in vSphere) and that’s it: vSAN 6.7 Update 1 (strange that has not been used the name vSAN 6.8). VMware vSAN has grown very fast in those years, not only in the number of versions (quite impressive) but also in the customers’ adoption, with more than 14000 organizations using vSAN and with a 110% growth year-over-year. 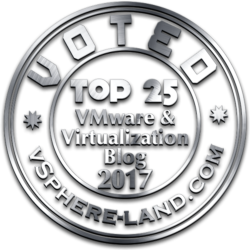 Reading Time: 2 minutes VMware vSAN should manage better VM snapshots compared with traditional storage and VMFS datastores. The reason is the new (v2) on-disk format in VSAN 6.0 and the new filesystem that is used: VirstoFS. VirstoFS is the first implementation of technology that was acquired when VMware bought a company called Virsto a number of years ago. Also there is a new sparse format called vsanSparse. These replace the traditional vmfsSparse format (redo logs). Reading Time: 3 minutes VMware vSAN provides both enterprise-class scale and performance supporting a wide variety of use cases and businesses of all types and sizes. One of the popular use cases for VMware vSAN is running Business-Critical Applications (BCA). But in this case it’s not only running some workload in a virtual environment, but it’s also provide reference architecture, proven configurations and also the ability to use specific functions, like guest clustering. Reading Time: 2 minutes After replacing the SAS card on some ESXi 6.5 nodes, I’ve got a strange issue in the vSAN cluster. The vSAN was healthy and apparently working, but when I try to build new VMs wasn’t working at all, saying that there weren’t enough resources. But there was a lot of free reported space. The reason was that single node, the capacity disks where simply “not Healthy”, but reported as mounted.